Why Invest in Index Funds? How is Social Security Calculated? Articles are published Monday and Friday. You can unsubscribe at any time. How Do Variable Annuities Work? This article is the first in a three-part series. The second article will discuss how variable annuities are taxed, and the third article will discuss when variable annuities are/aren’t helpful. Some insurance benefits that you get in exchange for those additional expenses. (Often) one or more riders that introduce other insurance features. A key point to understand is that all of the above insurance benefits, as well as their associated costs, vary from one policy to another. The premium that you pay to the insurance company (whether in one lump-sum or in many payments over time) is invested in one or more “subaccounts,” which are the investment options you’re allowed to choose from (e.g., stock funds, bond funds, or various cash-like options). Your account value then rises or falls in keeping with the performance of the subaccount(s) that you have chosen. Variable annuities come with several expenses. First, there are the normal costs of the mutual funds/investment options in the subaccount(s) you choose to use. As with any other time you pick mutual funds, it’s a good idea to seek investment choices with low costs. The mortality and expense risk fee pays for the insurance aspects of the basic policy (i.e., the death benefit and any guaranteed income options that are included in the basic policy). There’s also typically an administrative fee, which can be a flat amount per year or a percentage of the account value. Then, there’s often a surrender charge that applies if you withdraw your money within the first several years of purchasing the policy. For example, I recently reviewed a policy that had a 7% surrender charge for the first two years of the policy’s life, a 6% charge for the next two years, a 5% charge for the next three years, and no surrender charge beyond that point. The sum total of these fees can vary dramatically from one policy to another. For instance, it’s super common to see variable annuities with total annual fees of 2-3%, plus surrender charges if you take your money out within the first several years. In contrast, the total annual fees for Vanguard’s Variable Annuity are roughly 0.45-0.75% (depending on which funds you choose to use), and it has no surrender charge. Optional riders (which we’ll discuss momentarily) come with additional costs, which also vary dramatically from one type of rider to another. The premiums you paid into the policy, minus any withdrawals you had taken from the policy. This would be relevant if the account value goes down during the time you own the policy due to poor investment performance. The second insurance benefit that a variable annuity offers is the option to convert the account/policy into a guaranteed stream of income (i.e., to “annuitize” the policy). When you annuitize the policy, you lose control of the assets. That is, you no longer have the option to take your money out whenever you want. A life annuity with period certain that pays for the longer of your lifespan or a fixed period of time (e.g., 20 years). A key point is that you do not have to annuitize the annuity in order to start using it for income. Prior to annuitizing, you can take money out whenever you want (though you may have to pay surrender charges and tax costs). You have to annuitize in order to activate the various income guarantees (e.g., to turn the annuity into a life annuity that is guaranteed to pay out for as long as you’re alive). Features that provide a payout if you need long-term care. Riders naturally have a wide range of costs given the wide range of insurance benefits that they can provide. Next week we’ll take a look at how variable annuities are taxed. And the week after that we’ll discuss how and when they might be a useful part of a financial plan. Click here to see the full list. Hi. I'm Mike Piper, the author of this blog. 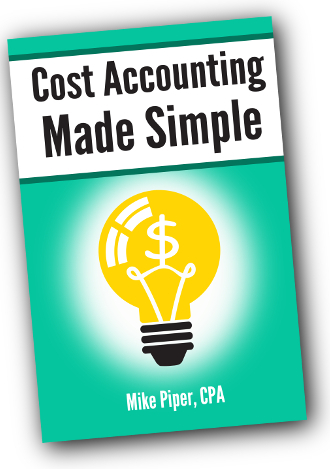 I'm a CPA and the author of several personal finance books. 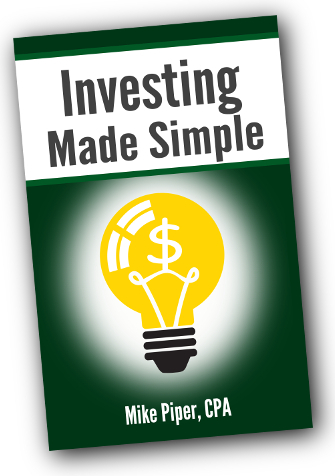 The point of this blog is to show that investing doesn't have to be complicated. Click here to read more, or enter your email address in the blue form to the left to receive free updates.